Access these e-journals via DiscoverEd. This entry was posted in New e-resources, Updates and tagged 1940-087X, e-journals, Journal of Visualized Experiments, JoVE on August 5, 2016 by eresources. Amirsys Imaging Reference Center is a new subscription for the academic year 2016-17. 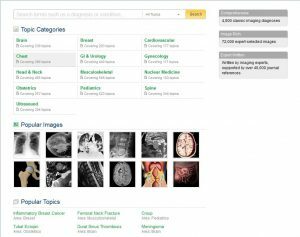 Amirsys Imaging Reference Center offers a comprehensive source of radiology references with a combination of high-quality images, classical diagnoses, and evidence-based clinical content. Expert, evidence-based content – including over 4,000 diagnoses provided by imaging experts. Access this new database via our main A-Z list, Medicine AZ list, Nursing AZ list and DiscoverEd. This entry was posted in New e-resources and tagged Amirsys Imaging Reference Center, databases, General Medicine, Ovid, Radiology on August 3, 2016 by eresources. We now have access to Spinal Cord Series and Cases. This e-journal has been added to our Nature Publishing Group package subscription and is now available in DiscoverEd. 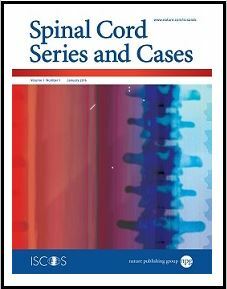 Spinal Cord Series and Cases is an international quarterly subscription based journal, publishing original research articles, small case series, case reports and contributions of a more national or local interest that address all aspects of spinal anatomy, physiology and lesions (injury and disease). Spinal Cord Series and Cases is a multi-disciplinary forum for basic science, clinical and applied studies, psychology and epidemiology of spinal disorders, and is committed to rapid publication. This entry was posted in New e-resources and tagged 2058-6124, Nature Publishing Group, Spinal Cord Series and Cases on August 2, 2016 by eresources.